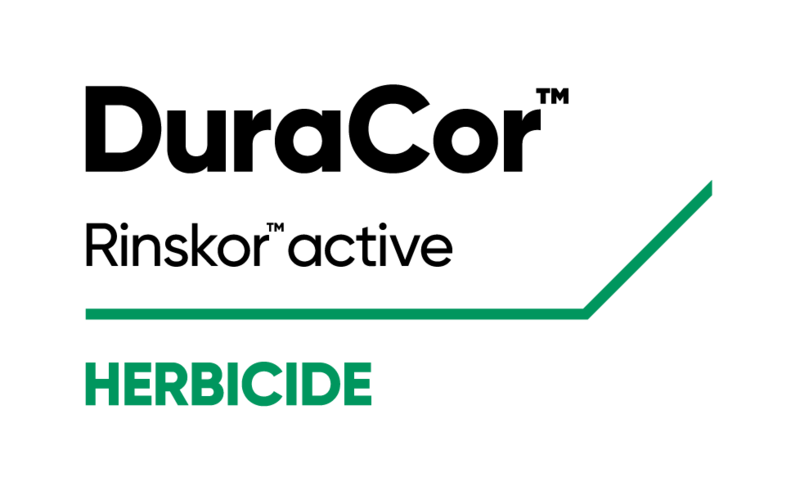 NEW ORLEANS, Jan. 31, 2019 — With the cattle industry’s largest gathering — the Cattle Industry Convention and NCBA Trade Show — as a backdrop, Corteva Agriscience™, Agriculture Division of DowDuPont, unveiled DuraCor™ herbicide as its newest anticipated broadleaf weed control product for pastures and rangeland. Following last fall’s submission of DuraCor to the U.S. Environmental Protection Agency (EPA), this announcement marks the next step in bringing ranchers and land managers the first new active ingredient for pastures and rangeland in nearly 15 years. Eliminating buckhorn plantain in pastures and hayfields can improve forage quality. Corteva Agriscience™, Agriculture Division of DowDuPont (NYSE: DWDP), is intended to become an independent, publicly traded company when the previously announced spinoff is complete by June 2019. The division combines the strengths of DuPont Pioneer, DuPont Crop Protection and Dow AgroSciences. Corteva Agriscience provides growers around the world with the most complete portfolio in the industry — including some of the most recognized brands in agriculture: Pioneer®, Encirca®, the newly launched Brevant™ seeds, as well as award-winning Crop Protection products — while bringing new products to market through our solid pipeline of active chemistry and technologies. More information can be found at www.corteva.com. Follow Corteva Agriscience on Facebook, Instagram, LinkedIn, Twitter and YouTube. Follow Range & Pasture at Corteva Agriscience on Twitter. Label precautions apply to forage treated with GrazonNext HL or Chaparral and to manure from animals that have consumed treated forage within the last three days. Consult the label for full details. ® TM SMTrademarks and service marks of Dow AgroSciences, DuPont or Pioneer, and their affiliated companies or their respective owners. MezaVue is a Restricted Use Pesticide. MezaVue, Rinskor, GrazonNext HL and Chaparral are not registered for sale or use in all states. Contact your state pesticide regulatory agency to determine if a product is registered for sale or use in your state. 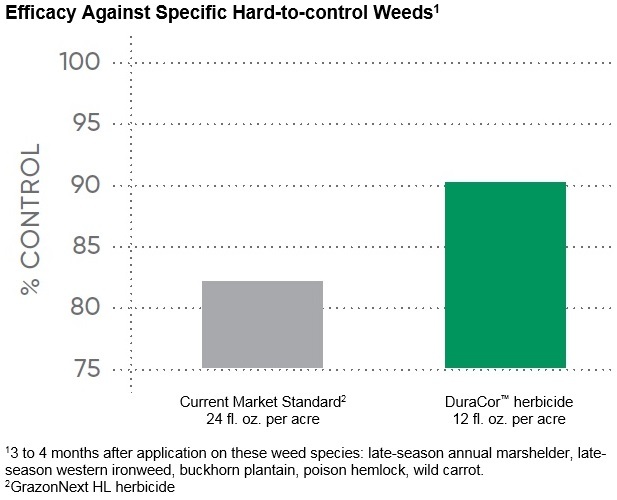 DuraCor has not yet received regulatory approvals; approvals are pending. The information presented here is not an offer for sale. Always read and follow label directions.